I love it is smells beautiful! I really like it because of the citrus notes mainly which makes it different enough and imo more palatable from the original alien or angel versions. Also I think it lasts long enough for a toilette version, it doesn't really fade its just less noticeable to people around you. 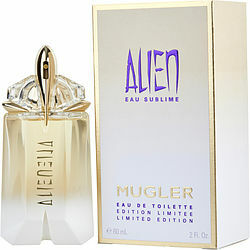 Alien Eau sublime es muy rico muy parecido a alien los dos son buenísimos son mugler recomendado.